Short on time? 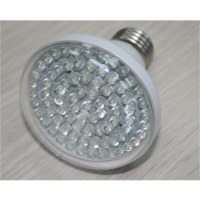 Let led-light-bulbs sellers contact you. Royal Crest Trading Co., Ltd. 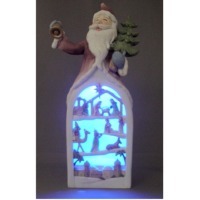 This lighting LED application can be used on any indoor, outdoor and electronic components. LED also have some features including power saving, environmental friendly, more then 100,000 hours life time, non-heat emitting fK ect. Longnan Litkcoon Technology Co., Ltd. Environment Friendly: No Ultraviolet or infrared emissions LED life expectancy can reach over 50,000 hours; which is 10 times the regular light bulb Provides a soft light; comfortable for the eyes and eliminates eye fatigue and stress A guaranteed luminosity of 85Lm/w. 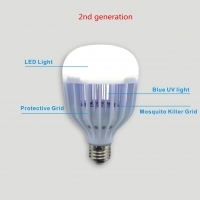 Specifications£º 1,Base:E27,E14,MR16,GU10 2,power:3W,5W,7W,9W,12W,15W 3,ce&rohs certification 4,50000h life span 5. voltage:AC90-260V 6£®,Lighting source: High power led. 7£®Emitting color: white or warmwhite. Features & Benefits. 1 Emit bean light, average aperture, no speckle 2 No UV, no fickering, good for eyes 3 Good quality and good heat dissipation. 4 High energy efficiency with low power consumption. 5 Real replace 40 W the traditional incandescent bulb 6.Green and eco-friendly lighting source without mercury, UV and infrared light. 7. CE certificate and RoHs compliance Applications: 1.Replacement bulbs for general lighting in hotel and household decoration, especially for galleries and courtyard. 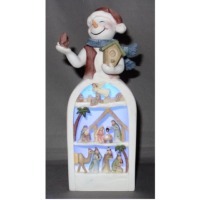 2.Suitable for spot light in art display, museum jewelry counter. 3.Window display in fashion shop, fashion show, notebook PC shop etc. Carton box with standard export packing. LED light bulbs, AC100-240V, 3W/5W/6W/7W/9W, B14/B22/E26/E27, white/warm white/red/green/blue/yellow, ideal to replace incandescents, 70-80% energy saving. Rated power: 5w Working voltage: 85~264vac; 50/60hz Working current: 350ma Head: e26/e27/gu10 Luminous flux: 550lm+/-10% Colour temperature: 4000k ~ 6500k Beam angle: 160 degrees. 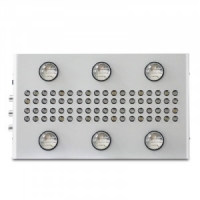 Working temperature: -40 ~ 55 deg.C Product life: >50khrs Protection degree: ip50 Led color: red \green\blue \yellow\white Outline dimension: h112*od60mm Certificate: ce & rohs Package: 96pcs/carton, Carton dimension: l500mm*w290mm*h350mm; G.W. : 14.6kg. 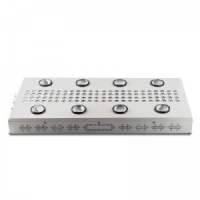 Guangzhou U-light Electronic Technology Co., Ltd.
Model:ul-9g-9005w-cr-30w Chip:cree-xbd Quantity:6pcs Power:30w Voltage: dc12v-24v Beam angle: 360 degree Lifespan: over 50, 000 hours Available color: white, red, yellow Usage: fog light Warranty: 12 months Anti static bag /blister packaging or oem box. 1pcs led light bulb weight is 0.04kg. Freecom Hardware Product Co., Ltd. Led light bulb cover/ radiator 1. With a good performance of thermal spreading. 2. Optimum design for different types of heat sinks and associated design parameters is provided. 3.Material: aluminum alloy 6063. 4.Surface treatment: anodized and also provided as customers' requirement. 5.Package: usual package or packing as your request. 6. One-stop service: mould, extrusion, surface treatment, fabrication, welding and assembly, etc. 7. Oem service is workable. We can produce as per your drawings, samples and request. 8. A long term business relatonship is our aim for the international business. According to customer's requirement.